The Bonnyville Centennial Centre invites you to Eat – Laugh – Dance! 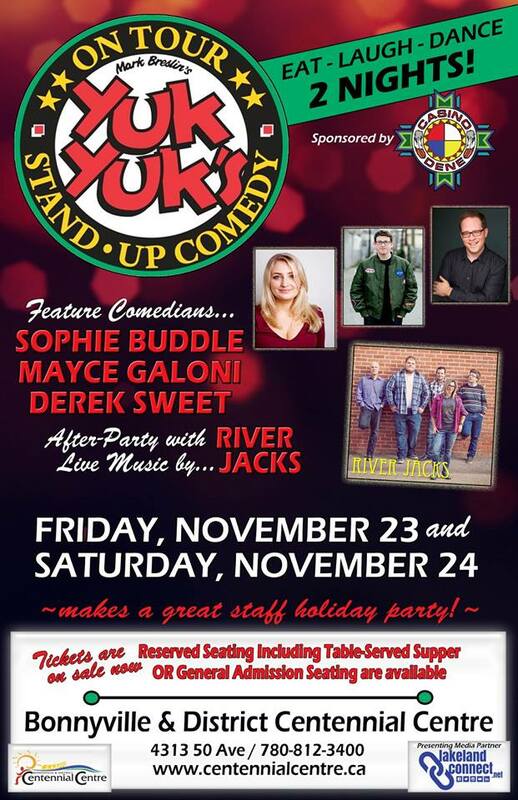 Yuk Yuk’s Stand Up Comedy and After Party for two nights only. Check our Event Poster for all the details.